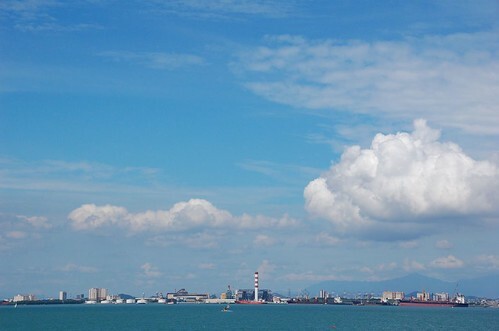 The sky was exceptionally blue with fluffy white clouds when we went across the Penang bridge. So, I took out my Nikon D40 DSLR and took some photos from a moving car. I am using the Nikon 18-200mm VR lens so the photos all turned out pretty sharp. None of the photos are enhanced in anyway. 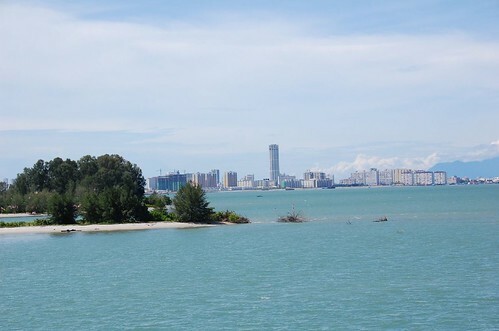 This is the part of the Penang island and part mainland. Komtar is that tall building. 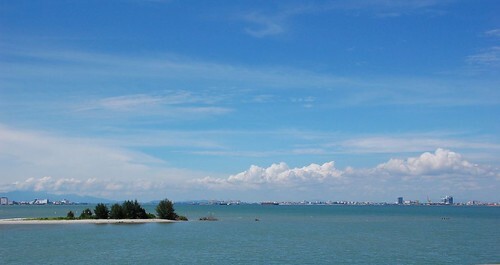 Prai industrial estate and the Penang port in the distance. 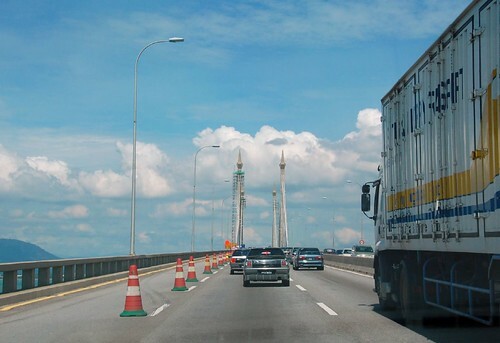 Hardly can get these photos on Penang Bridge.